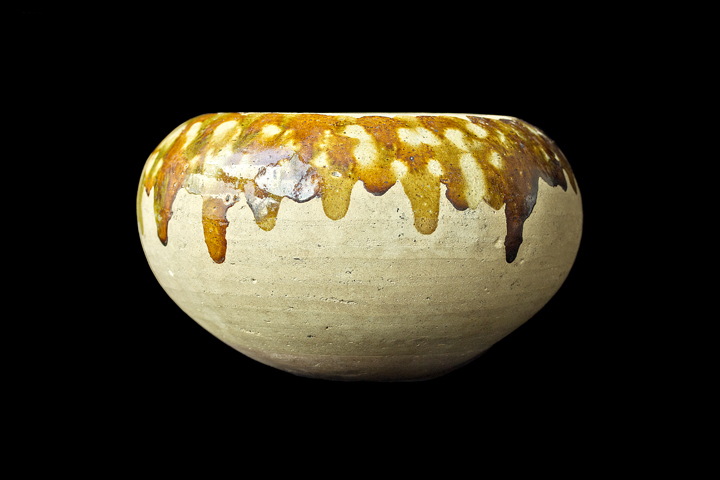 Appraisal: This Tricolor Glazed Pottery Bowl is from Tang dynasty. 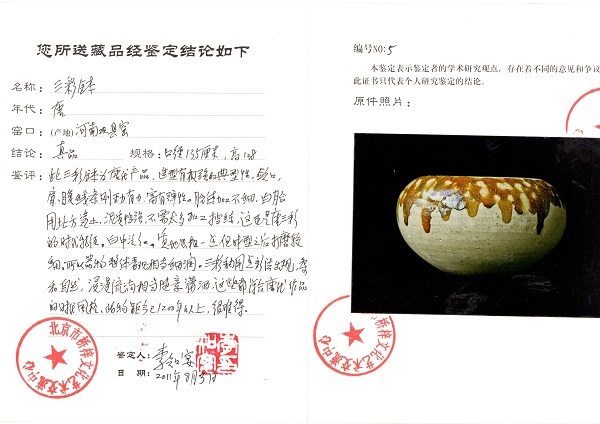 Its modeling is extremely typical of tricolor glazed pottery from the Tang dynasty. The lines on the convergence, shoulder, and abdomen are vigorous and resilient. The processing of the body is not fine-tuned, but organic in form. 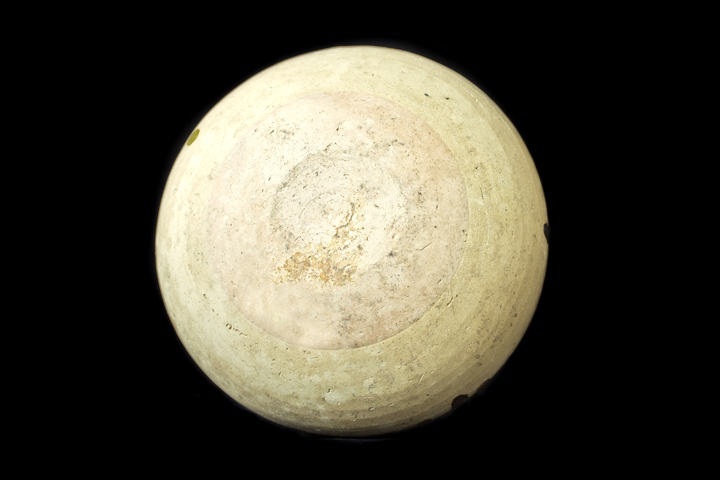 It uses white clay which is from the northern region. Northern clay is a strong mud, and does not require too much processing and pugging. This is precisely the Tang tricolor characteristics of the times. Its white color reveals a bit of red, the texture is rough, but after forming, the polish is very fine. Overall, it is very fine and glossy. 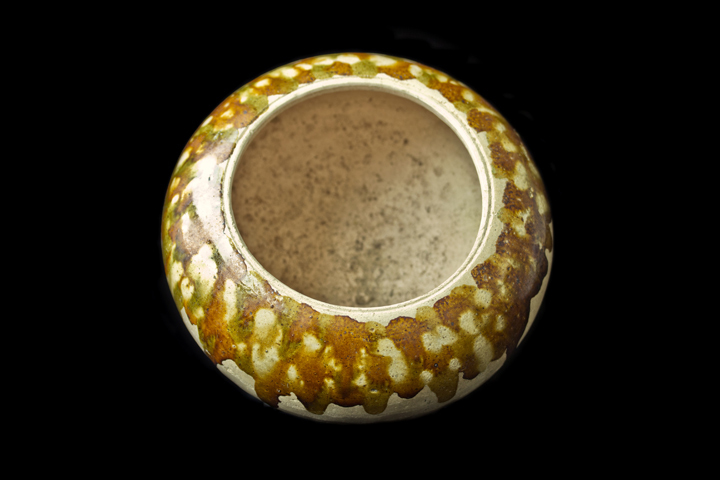 It uses a stippling effect to decorate and paint the tricolor glazed hues, the outcome is very soft and natural and the dipped diffuse flow fairly casual and chic– these are in line with the work of the Tang dynasty era style. This material is more than 1200 years old, very rare.